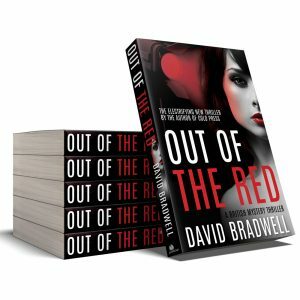 It’s been a busy few weeks, building an all-new version of this web site and preparing for the launch of Out Of The Red – book two in the Anna Burgin series of mystery thrillers. I hope you like the new site and enjoy reading the book as much as I enjoyed writing it. I’m delighted to announce the opening of the new shop section of the site. You can now purchase signed copies of the first edition paperbacks of Cold Press and Out Of The Red – and all book orders also get a free double sided bookmark to help you keep your page! Meanwhile, I’m currently writing the prequel to the series – a mystery novella based on Anna and Danny’s student years. It reveals how they first met each other and gives us a first glimpse of Clare. It’s a lot of fun to write and will be available as a FREE ebook in February – but only to subscribers to the mailing list. Join the list now by clicking the FREE BOOK link in the top right hand corner, and I’ll send you details on the download as soon as it’s ready. If you’ve read any of the old posts, you may have seen mention of my standalone comedy thriller, Skirt. I’m really proud of it, but I’m holding off on releasing it for now so it doesn’t confuse the issue with the Anna Burgin series. It will come out eventually though… more details in time, and via the mailing list.